The Liberal Democrats (colloquially known as the Lib Dems) are the UK’s liberal political party, formed in 1988 as a merger of the Liberal Party and the Social Democratic Party (SDP). At the 2010 general election, led by Nick Clegg, the Liberal Democrats won 57 seats, making them the third-largest party in the House of Commons, behind the Conservatives and Labour. With no party having an overall majority, the Liberal Democrats agreed to join a coalition government with the Conservative Party with Clegg becoming Deputy Prime Minister and other Liberal Democrats taking up ministerial positions. At the 2015 general election, the party was reduced to eight MPs. Nick Clegg resigned as leader and Tim Farron won the subsequent leadership election. The party currently has nine MPs following the Richmond Park by-election win in 2016. Within the Liberal Democrats, the two main ideology strands are social liberals and the classical liberals. Classical liberals tend to support greater choice and competition and aim to increase social mobility through economic deregulation and creation of opportunity. Social liberals are more commonly associated with directly aiming to increase equality of outcome through state intervention. Classical liberals tended to favour cutting taxes for the poorest in order to increase opportunity, contrasting with social liberals, who would prefer higher spending on public services and the disadvantaged in order to reduce income inequality. The party promised to cut less than the Tories and borrow less than Labour, continue the banking levy and introduce a time-limited supplementary corporation tax charge on the banking sector. Pass a Zero Carbon Britain Act to set a new legally binding target to bring greenhouse emissions to zero by 2050. Develop a comprehensive plan to electrify the majority of the UK rail network and push ahead with HS2. Raise the personal allowance to at least £12,500. Restrict access to non-domicile tax status, by ending the right to inherit it. Extend shared parental leave with a “use it or lose it” month for fathers. Extend free childcare to all 2 year olds for working families. Commit to 20 hours free childcare a week for parents with children aged two to four. Remove eligibility for the winter fuel payment and free TV licence from pensioners who pay tax at the higher rate. Conduct a review of the work capability assessment and personal independence payment assessments. Legislate to maintain the increase of state pension by the highest of earnings growth, prices growth or at least 2.5 percent. Extend freedom of information laws to cover private companies delivering public services. Protect the early years, school, sixth form and college budgets. Double the number of businesses hiring apprentices. Increase the early years pupil premium to £1,000 per pupil per year. £8bn more funding a year by 2020 to the NHS. Set a goal of 300,000 homes a year, including 10 new garden cities. New ‘rent to own homes’ where monthly payments steadily buy a stake in the property. Enforce a £10,000 cap on donations to political parties. Reform voting systems at local and national level to ensure more proportional representation. Reform the House of Lords, cutting its size by nearly half. The Liberal Democrats have separate parties in England, Scotland and Wales. The English and Scottish parties are further split into regions. The parliamentary parties are semi-autonomous units within the House of Commons, the House of Lords, the Scottish Parliament and Welsh Assembly form. Co-ordination of all party activities across all the groups is through the Lib-Dems Executive. The Lib Dems in Northern Ireland, work with the Alliance Party of Northern Ireland, de facto agreeing to support the Alliance in elections. There is a separate local party operating in Northern Ireland, the Northern Ireland Liberal Democrats. Several individuals, including Alliance Party leader David Ford, hold membership of both parties. 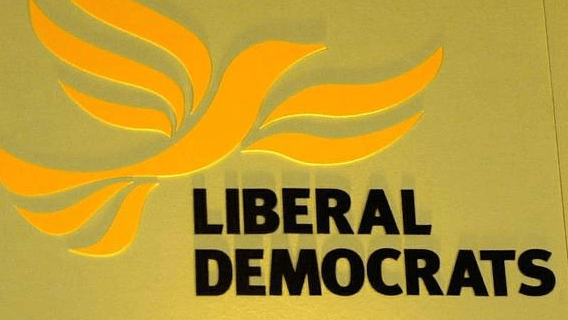 The Liberal Democrats are also a ‘sister party’ of the Liberal Party of Gibraltar and contests the South-West England constituency at European Parliamentary elections on a joint ticket. The party is a member of Liberal International and the Alliance of Liberals and Democrats for Europe Party, and their single MEP, Catherine Bearder, sits in the Alliance of Liberals and Democrats for Europe (ALDE) Group in the European Parliament in Brussels.